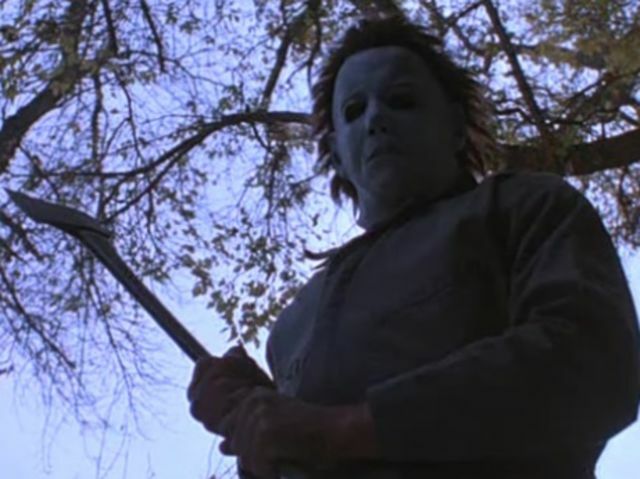 Test Yourself: Can You Recognise 33 Horror Movies By Their Scariest Scenes? My boyfriend and I were just talking about what we should this year on Halloween. I mean sure, we have already gone through a haunted witch cave, rode through a farm on a haunted hay ride (that wasn’t so haunted) and have gone to a Halloween costume party. But, on the actual day of Halloween, we’re kind of not feeling going out. Yes it is still a few months off but I do have a bit of a morbid fascination. The crowds are huge, people are drunk and crazy, we don’t have kids so we won’t be trick-or-treating. We got invited to a few parties but getting crazy drunk with people we don’t really know just doesn’t really seem fun. So what should we do? Go to the store, grab a bag of candy and some popcorn and rent a movie to scare the crap out of us. It’s the perfect night in for Halloween! We are still keeping that Halloween spirit, but without all the chaos in dealing with other people. It’s perfect! Before this post, I wasn’t sure what movie to get. Sure, there are a lot of great horror movies out there (my personal favorites are based on Stephen King novels) but there are also a lot of duds. Thanks to this quiz I am reminded of all the great movies I have to choose from! How well do you know your horror? Take the quiz and find out!